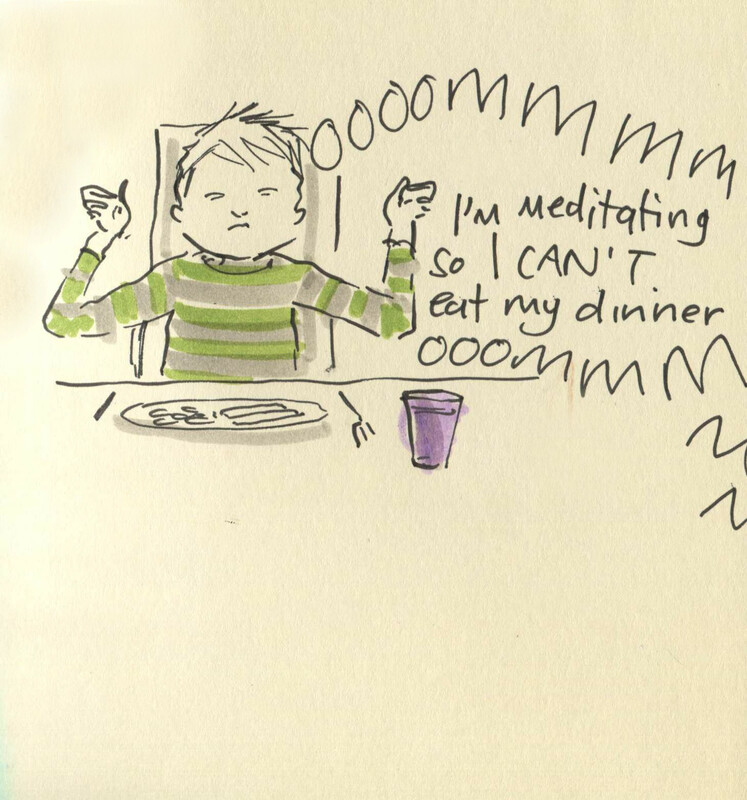 Posted on February 20, 2015, in Uncategorized and tagged Children, Doodlemum, Drawing, Family, Humour, Illustration, Life, Pen and Ink, Sketchbook. Bookmark the permalink. 14 Comments. They know how to work us, don’t they? Haw, Dalai bloody Lama! Ye’ll no’ be wantin’ yer afters, then! Did you draw that? Sorry I am new to this site. Not really because you are such a good artist. Do you want to be one when you are older? Where did he get that from?